It’s been a good 3 weeks since I’ve posted, as my peanut and I have spent more time cuddling than I would like to admit. Heck, I’ll admit it! It’s been cuddles round the clock over here! And I’m not sorry. That being the case, however, meant that I have had very little time to crochet. So it’s taken me 2 weeks to get this car seat canopy done, but I’m so so happy with how it came out! 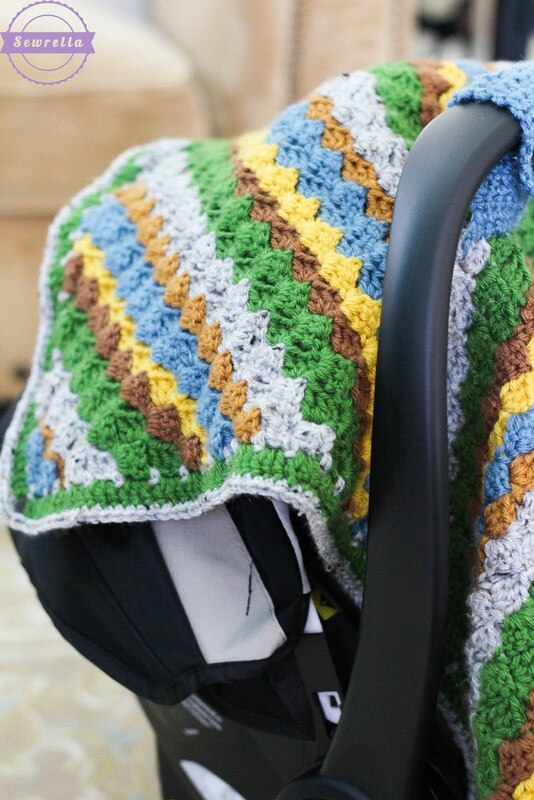 I’m calling this the Sequoia Car Seat Canopy because it is inspired by Parker’s woodland themed nursery, and I chose a natural, forrest-y color scheme. Greens, browns and blues mostly! 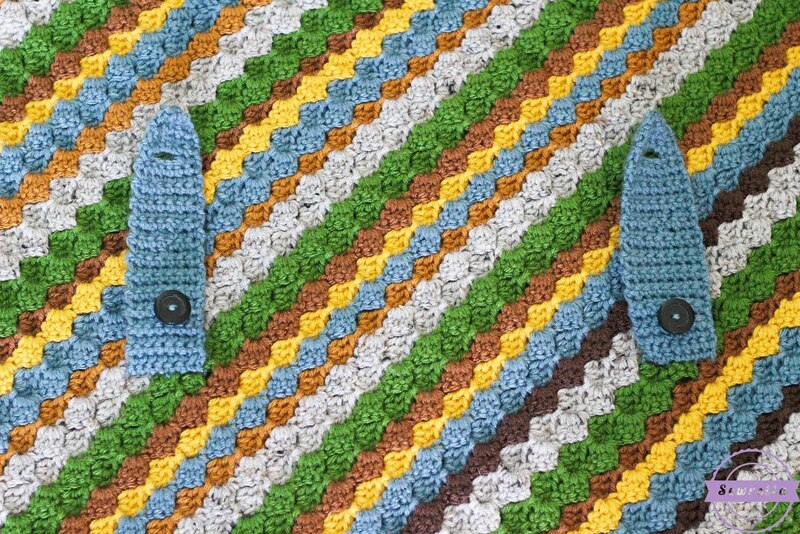 This canopy is a snap to make using the C2C stitch, with a fun border. 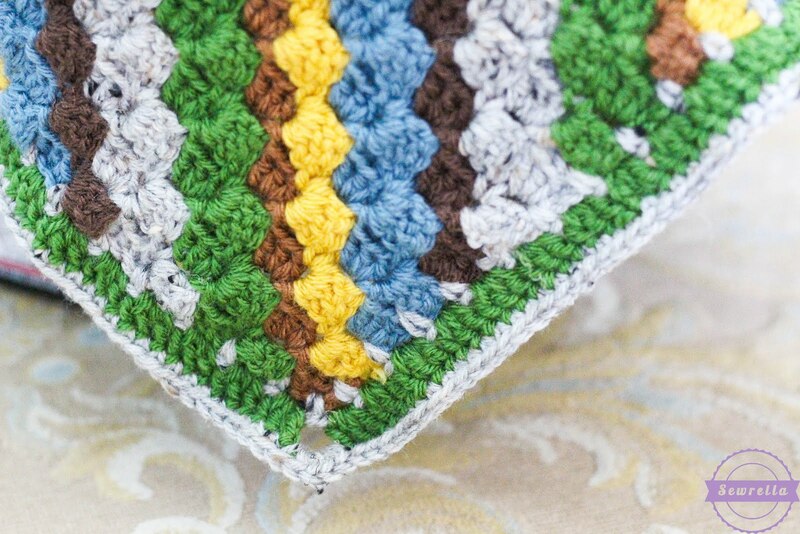 See the video tutorial below if you are unfamiliar with the C2C or corner to corner method – it will show ya all you need to know! Now let’s get to the pattern! 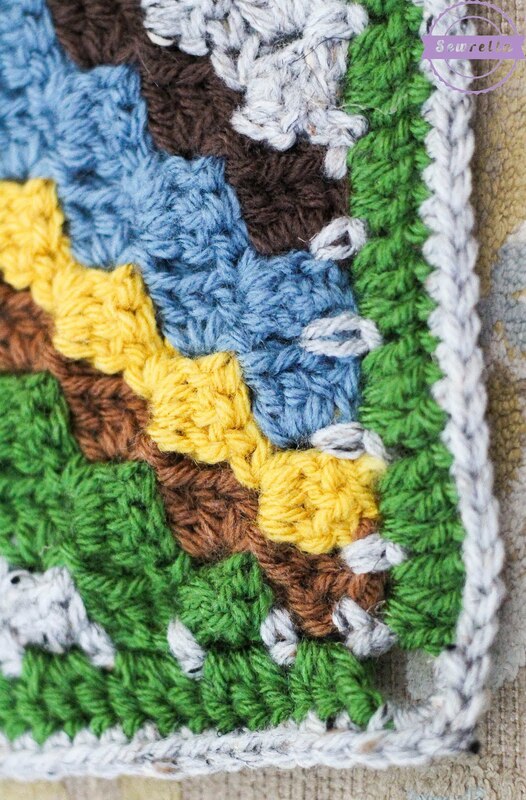 Work a rectangle of C2C stitches that is 35 blocks by 45 blocks, striping as you please. finish off and weave in all ends before proceeding to the border. -In each of the 4 corners, work a Sc in the corner of the block, with a Ch 2 on each side and proceed around. -Sl st to starting Ch 2 and finish off, weave ends. Row 28: Sc in each st across, finish off, weave end. 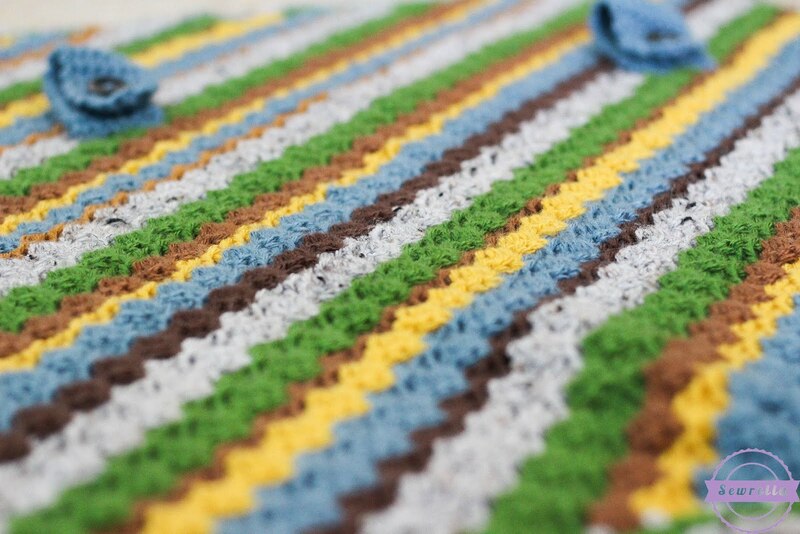 -Using the tail from your foundation Ch, sew onto the C2C rectangle where appropriate for your car seat. *Lay the rectangle over your car seat and position it how you like. 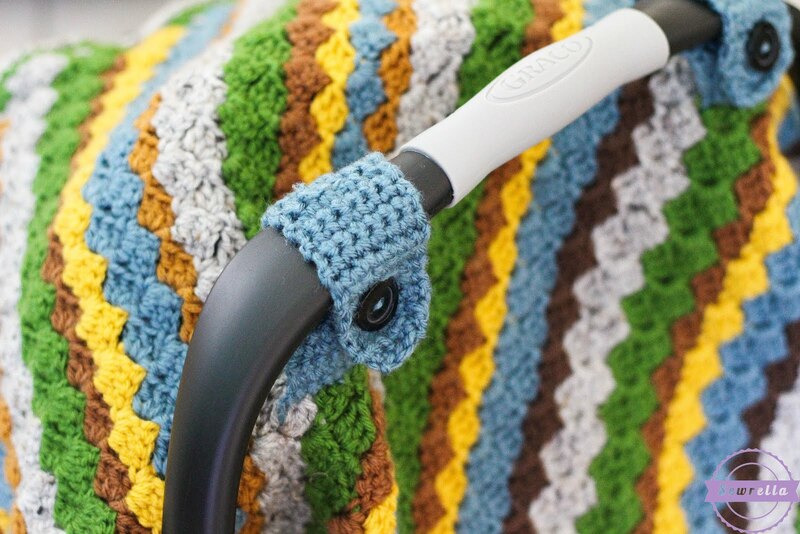 Place stitch markers or bobbi pins where the handle of the car seat lies under your canopy (i.e. where your straps need to be). Count blocks to be sure your straps are centered and sew in place. 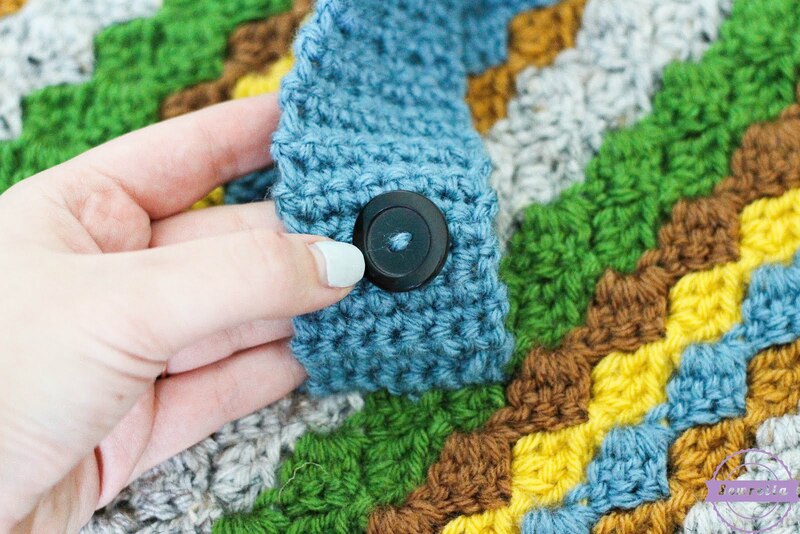 -Sew buttons onto the base of the strap as pictured. 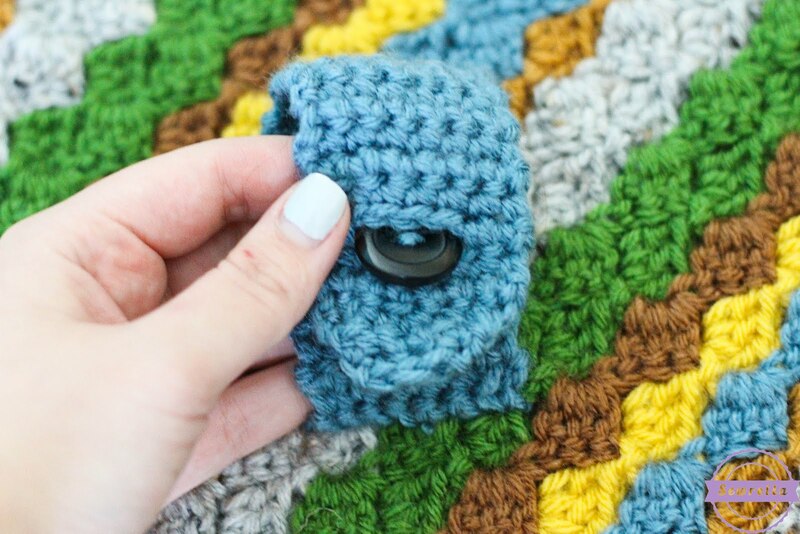 You may also want to use your car seat and stitch markers to be sure the sizing here is right before sewing down your buttons. 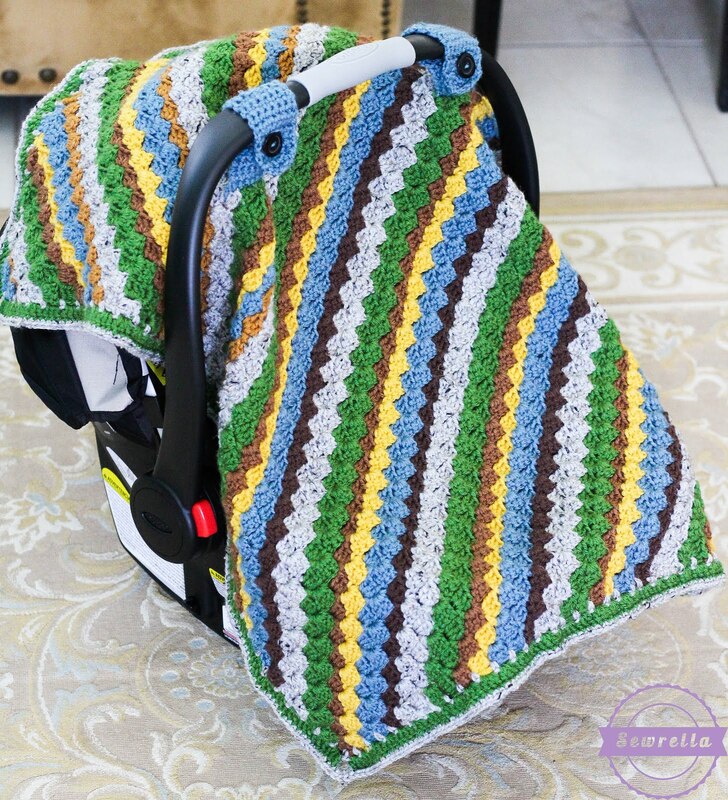 Attach to car seat and enjoy! 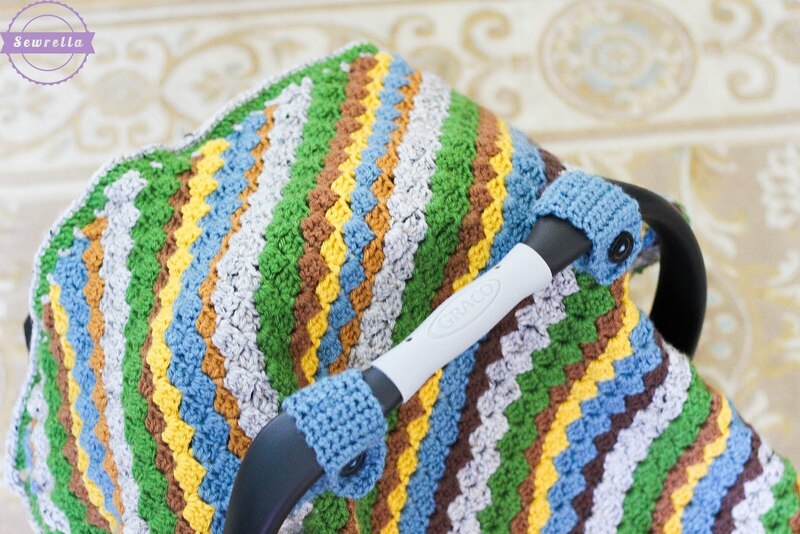 *DISCLAIMER: This car seat canopy is intended to be used only to shield your little one from rain, snow, or sun during a short walk to or from the car. Please do NOT use for a prolonged period of time. 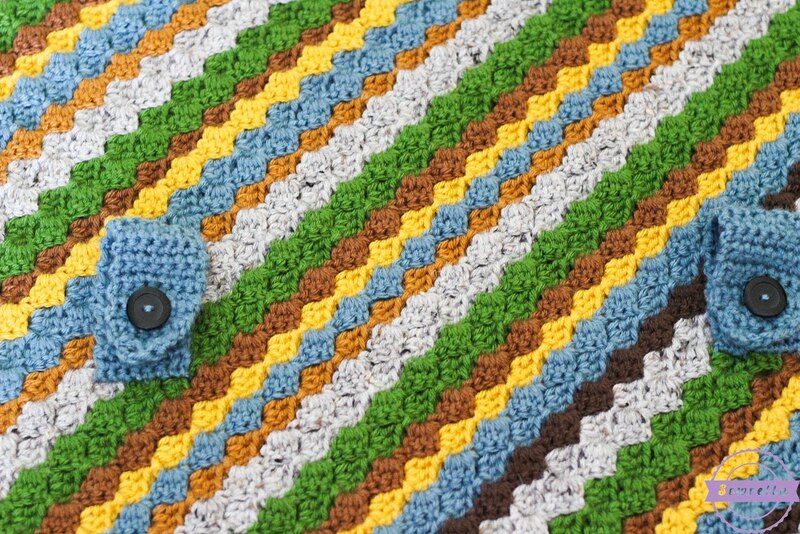 Don’t forget to PIN this project to your Pinterest boards so that ya don’t lose it! There ya go, folks! Thanks for hangin’ with me, now go make something! « Welcome to the World Parker Owen!